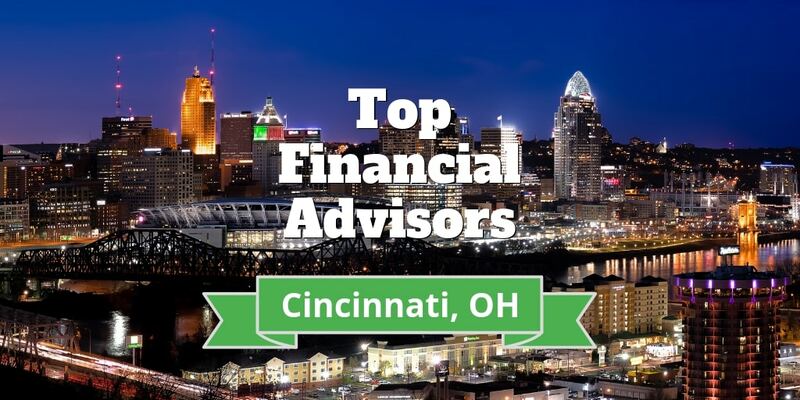 What are the ten top financial advisors in Cincinnati, Ohio? We did the research so you can fast-track the process of finding a money manager who can best help you achieve your financial goals. Largest Financial Advisor: Fort Washington Investment Advisors Inc.
Is This Financial Advisor A Fiduciary? Is Johnson Investment Counsel Right For You? PCA Investment Advisory Service: Got A 401(k)? How Much Does PCA Investment Advisory Service Charge? How Does PCA Invest Your Money? Is Bartlett Wealth Management Right For You? How Much Does Bahl & Gaynor Investment Counsel Charge? Is Truepoint Right For You? How Much Does Foster and Motley Have Under Management? Is Wealthquest Corporation Right For You? Is Simply Money Advisors Right For You? Fort Washington Investment Advisors Inc. is a fee-based business that ranks first in this list. Managing more than $54 billion for high-net-worth investors, the firm requires a $500,000 deposit to open an account. Fort Washington Investment Advisors Inc. manages accounts for both private individuals and institutions, including pooled investment vehicles, pension plans, charities, insurance agencies, large corporations and governmental bodies. You pay an investment management fee based on the percentage of your invested assets. Commissions may also be charged when you buy insurance products. Yes, Fort Washington Investment Advisors Inc. is a fiduciary, so advisors are required to act in your best interests. Founded in 1990, Fort Washington Investment Advisors Inc. includes four companies, each of whom owns shares in the firm. The four shareholders include Western & Southern Investment Holdings, LLC., Western & Southern Financial Group, Western & Southern Mutual Holding Company and Western and Southern Life Insurance Company. The company caters to a wide array of financial strategies, including derivatives management, domestic stock holdings, international stock holdings, private equity investments, options, short sales, short-term purchases and long-term purchases. Johnson Investment Counsel, Inc. manages more than $10 billion in assets. You need to invest a minimum of $500,000 to open an account at Johnson Investment Counsel. In 2017, Johnson Investment Counsel, Inc. received mention on Barron’s list of top advisor firms as the 15th best firm. Whether you’re an industry exec or on the cusp of retirement, Johnson can help you better plan your financial future. Since it was established in 1965, Johnson Investment Counsel has enjoyed steady growth. Currently, it is ranked as the largest employee-owned, independent firm in Ohio specializing in wealth management strategies. A wide range of financial services are offered, running the gamut from retirement, business succession and charitable planning to investment management. The firm also provides debt management and banking services. 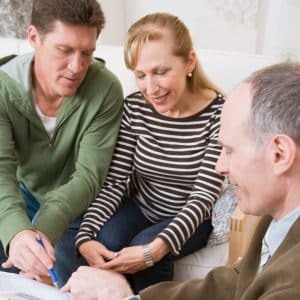 If you want to plan your estate or make sure you have ample insurance coverage, Johnson Investment Counsel, Inc. has a strategy to fit your needs. At Johnson Investment Counsel, Inc., the firm’s various advisory services feature strategies for managing risk and liquidity issues. The firm seeks to accommodate your personal goals and financial situation. As an account holder, you have access to an entire team of individuals with various management techniques. So, your investment portfolio benefits from the varied opinions. However, if you want a tax-efficient portfolio, you may want to look elsewhere because tax management does not play a strong role at Johnson Investment Counsel, Inc.
As a fee-based advisor firm, PCA Investment Advisory Service Inc. manages approximately $1.5 billion in assets under management. The firm features nine financial advisors, including two 401(k) Administrators (QKAs), a CPA, a CFA and four CFPs. 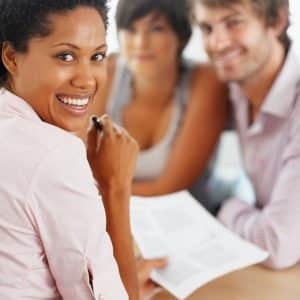 You’ll also have access to services provided by a Chartered Retirement Planning Counselor (CRPC) and two Qualified Plan Financial Consultants (QPFCs). Unlike some other firms on our list, PCA Investment Advisory Service Inc. does not cater to just high-net-worth individuals. In fact, it caters mostly to individual clients. Investment fees at PCA are based on your assets under management. The firm charges fixed or hourly fees for financial planning services. Advisors can receive commissions if they convince you to buy securities. Although this practice constitutes a conflict of interest, the firm’s fiduciary obligation is to act in your best interests. To qualify for service, you don’t need to meet a mandatory minimum deposit level or maintain your account with a specified balance. PCA Investment Advisory Service Inc. was established in 2001. Four shareholders own shares in the firm. Services include life insurance counseling, retirement planning, investment management, education planning, financial planning and pension consulting. At PCA Investment Advisory Service Inc., advisors encourage investors to invest for the long term. If you want to open an account at this firm, plan on holding your investments for a minimum of one year. However, advisors do sometimes suggest buying short-term investments depending on whether they expect the market to perform well within a short period. As a firm serving high-net-worth individuals, Bartlett Wealth Management requires that you have at least $500,000 to open an account. Established in 1898, Bartlett Wealth Management is an advisory firm owned by employees. With Bartlett’s innovative team approach, you have access to a professional financial team to manage your investment portfolio. Backed by in-house analysts focused on research, a team will identify, analyze and monitor your investments. A spokesperson has mentioned that the firm wants its financial advisors to disagree in an effort to create sound assessments about portfolios. The philosophy of the firm is that substantial returns should take a back seat to preserving wealth. Building on this approach, the firm chooses stable investments focused on diversification. You have a say about your portfolio’s holdings because the stock picks stem from your own risk tolerance level. Investments include equities, bonds and alternative selections. You may want to take advantage of investing in the Bartlett Fund Advantage to ensure a broad range of the firm’s own mutual funds along with exchange-traded funds (ETFs). Bahl & Gaynor Investment Counsel is a fee-only advisor that manages assets exclusively for high net-worth investors. Holding more than $11 billion, the firm manages institutional client accounts, including pension plans, profit-sharing plans, charities, state agencies, municipal bodies, investment firms and corporations. If you want to open an investment account at Bahl & Gaynor Investment Counsel, you must pay a fee based on your AUM. The firm’s financial advisors do not receive commissions. You must deposit at least $750,000 to establish an investment account with Bahl & Gaynor. Additionally, the firm charges a minimum annual fee of $7,000. Opening an account gives you several portfolio options, including an income growth portfolio, total return bond portfolio, small-cap portfolio and various mid-cap portfolios. You also have the option to establish a quality growth portfolio. Truepoint, Inc.is a fee-only advisor firm providing clients access to the expertise of Chartered Financial Planners, CPAs, Chartered Financial Analysts and a CAIA. Truepoint, Inc. differs from some of the other advisor firms on our list because it does not enforce an official minimum deposit amount to establish an account. However, the firm does offer suggestions ranging from a minimum initial investment of $3 million to receive wealth management services up to $20 million to open an account and use its family office services. Founded in 1990, Truepoint, Inc. is 100% owned by employees. The firm’s True Wealth Management services entitle you to receive comprehensive financial planning services, estate planning advice, income tax preparation services, advice on how to create a budget and assistance with developing a personal action plan. At Truepoint, Inc., financial advisors prefer that account holders are invested for the long term. The firm’s managers shy away from timing the stock market because they contend that this strategy can deplete an investment portfolio. Commissions and capital gains taxes can hurt gross returns. In lieu of an aggressive approach, managers at Truepoint, Inc. focus on discovering solid, long-term investments resonating with your needs as a valued client. Expect to establish a solid financial plan featuring low-cost mutual funds. Managers actively engage in rebalancing your portfolio to make sure your goals are met. Investment portfolio managers at Truepoint, Inc. will work with you to discover your personal objectives and risk tolerance level. In addition, a financial advisor will consider your cash-flow requirements. Your investment portfolio is based on equities designed to tolerate the stock market’s uncertainty and volatility. Your portfolio also includes index mutual funds and exchange-traded funds (ETFs) with lower expense ratios. Your advisor may suggest including one or more individual equities and institutional funds to balance out your portfolio. After creating your investment portfolio, advisors continue to rebalance your investments to optimize for risk and return, including possibly adding hedge funds. Foster & Motley Inc. charges fees for its advisory services. The firm focuses on both high net-worth clients and investors who do not fall into that category. It provides advice about profit-sharing plans, charities and businesses. The firm’s assets under management is over $1.3 billion. You need to pay a $2,000 fee (can be paid quarterly) upon establishing your account. The fee does not apply if you invest $1 million or more. If you invest less than $500,000, you must pay the $2,000 annual fee, and you also need to pay a $800 financial retainer fee after you have held your account for one year. Like most other advisors, the fees are based on assets managed. At Foster & Motley Inc., advisors do not receive commissions for insurance-related or security-related sales. Services include budget planning, estate planning, financial planning, retirement planning and in-depth tax analysis. The firm also provides institutional financial management services. Financial advisors at this firm recommend mutual funds, equities, bonds, real estate investments and alternative investments for account portfolios. The firms also uses a Charles Schwab Institutional Intelligent Portfolios platform. Wealthquest Corporation was founded in 2006 and is an employee-owned advisory firm. The investment minimum is $50,000 to open an account. Wealthquest Corporation offers three separate financial paths for high-net-worth clients. Each path features a different minimum account deposit. The Ascend path is for investors who have less than $350,000 to invest. This path is advertised as the “base camp” for an investor’s financial excursion. The firm’s financial planning service is a separate option with this path. The Expeditions path is for clients who have a minimum of $350,000 to invest. Expeditions is for investors experiencing crossroads in their lives. 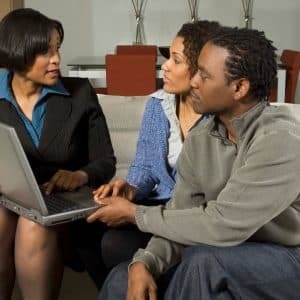 If you seek financial guidance and have $350,000 to invest, you can receive an estate plan and financial plan designed for your transitional needs. The Summit path is designed for high-net-worth clients with more than $2.5 million of investable assets. The Summit path offers services to financially independent investors who need to incorporate sound wealth management strategies into their investment portfolios. Clients invested in the Summit plan have access to family legacy planning services and charitable giving strategies. Each financial path includes allocating the investor’s assets per the individual’s personal preferences. Mainly focusing on investing in mutual funds and ETFs. Wealthquest also includes stocks, bonds and option contracts in an investor’s portfolio. Plus, an investment portfolio may include Certificates of Deposit (CDs). Services at Wealthquest Corporation include retirement planning, tax preparation, tax planning, charitable planning and investment planning. If you open an account at Wealthquest Corporation, you have access to all financial advisors employed by the firm. Osborn Williams & Donohoe LLC is a fee-only advisor that manages over $800 million for both charities and high-net-worth individuals. Even though all of the firm’s clients are high-net-worth investors, Osborn Williams & Donohoe LLC does not enforce minimum account balances. The firm includes five financial advisors. If you choose to invest with Osborn Williams & Donohoe LLC, you pay a fee based on your invested assets. Financial advisors at this firm do not receive commissions for selling insurance policies or securities, so you can be more confident that the advisors will have your best interests in mind. This advisor firm believes in five basic investment strategies: dividend growth, income equity, opportunity growth, balanced portfolio and fixed income plans. The dividend growth strategy emphasizes investing in companies paying high dividends. The income equity strategy focuses on investing in equities likely to appreciate, such as common stocks. The opportunity growth strategy emphasizes investments in companies likely to grow quickly. The balanced portfolio strategy focuses on creating an investment portfolio featuring both equities and bonds. The fixed income strategy focuses on creating a portfolio featuring fixed income investments. As you can see, Osborn Williams & Donohoe LLC gives you the opportunity to create several portfolios featuring different strategies depending on your needs. Serving mostly individuals who do not have impressive assets, Simply Money Advisors also advises a few high-net-worth investors. Simply Money Advisors imposes a $100,000 minimum investment requirement. This advisory firm employs a team featuring ten CFPs, a ChFC and an Accredited Asset Management Specialist (AAMS). A handful of employees are licensed insurance agents and may suggest related products. Although Simply Money Advisors does receive income from selling insurance policies, the firm is a fiduciary. Founded in 1995, Simply Money Advisors is a registered investment advisor firm that advertises itself as a partner in planning your financial portfolio. Like other top financial advisors in Cincinnati Ohio, Simply Money Advisors emphasizes creating a sound financial plan. Each investment portfolio is based on an investor’s budget and personal needs. A portfolio also includes investments designed to tolerate risk. The company issues financial plans prior to developing investment portfolios. The firm also has an independent investment committee and advisory board. Committee and board members work as a team to advise clients about market conditions and how to make the right investment choices. At Simply Money Advisors, investors learn about the firm’s core-satellite investment strategy that consists of two separate units. The core unit offers asset protection and stability to the portfolio while the satellite part offers opportunities to grow assets based on market conditions. Advisors believe that investment portfolios should contain ETFs in addition to other investments. If you invest with Simply Money Advisors, you have access to a large number of portfolios. You can choose among conservative, income and growth portfolios, or you can create an aggressive growth portfolio. You need to look at a firm’s investment minimums before studying other details. After you find an advisory firm with investment rules matching your financial situation, pick a company mirroring your own investment needs. Some advisory firms on our list of best financial advisors in Cincinnati Ohio believe in conservative investment strategies while others vouch for more aggressive techniques. Another thing to consider is whether you want an advisor to make all the choices for you. If you want to take part in the decision-making process, choose a firm that allows this. Ask yourself whether you have any interest in purchasing insurance-related products. If you have no interest in buying insurance policies, pick a firm solely focused on investing. Keep in mind that firms which sell insurance and other products still have a fiduciary duty to all their clients. After you find the advisor firm matching your financial situation and viewpoint, choose a firm mirroring your investment goals. Are you a parent? You may want to select an advisor firm offering college planning services. To create a solid plan for your retirement, select a firm employing advisors specializing in retirement planning. If you’d like to preserve the wealth you have already managed to accumulate, choose an advisor emphasizing wealth preservation strategies. Decide which types of investments you prefer. Are you concerned about the environment? If so, you may want to select a firm offering alternative investments, such as socially responsible portfolios. If you are uncertain about which firm to choose, avoid making a decision until you arrange a face-to-face meeting with financial advisors representing several firms. Our criteria for the top advisor firms that made this list began with a thorough search for every financial advisor firm in Cincinnati registered with the U.S. Securities and Exchange Commission (SEC). Firms registered with the SEC must act on their clients’ behalf because of a fiduciary duty mandated by legal regulations. To make sure our list did not include untrustworthy advisor firms, we only included advisors with clean records. We only included advisor firms with employed financial planners. To simplify the ranking process, we sorted the the advisor firms based on assets under management (AUM). The firms with the highest AUM are listed first but keep in mind larger doesn’t necessarily mean better. ‹ 7 Online Flea Markets To Get Deals!